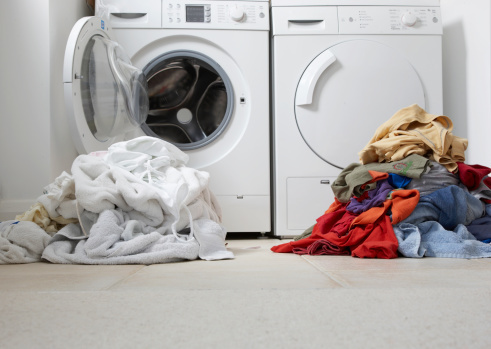 Washing machines might be the norm in most households, but some items still require hand-washing. Hand-washing can prolong the life of many clothing items, and saves energy and water costs. 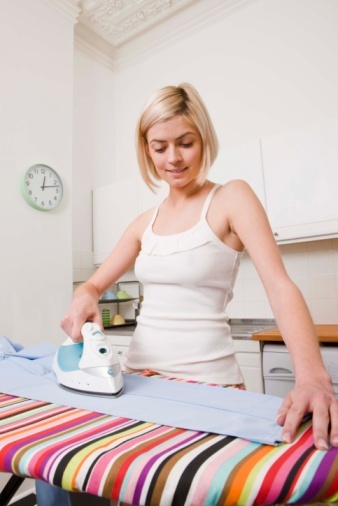 Once washing is complete, the clothes must be dried, and one of the most efficient ways to do this is with a towel wringer. A towel wringer is exactly what it sounds like: a towel that wrings the water out of clothes. This drying method is simple and inexpensive, as most people have the necessary supplies at home. 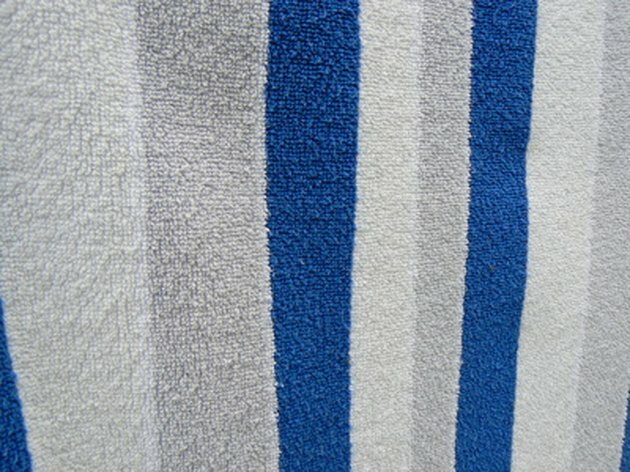 A large bath or beach towel is a good option when creating a towel wringer. Lay one large towel on the floor. Find the largest towel possible, so that bigger clothing items can be dried in this manner. Remove hand-washed clothing from the sink, and squeeze out any excess water. Place one to two pieces of clothing on the top half of the towel. Fold the towel in half with the bottom half of the towel coming over the top of the clothes. Apply pressure with the rolling pin as it moves along the towel. 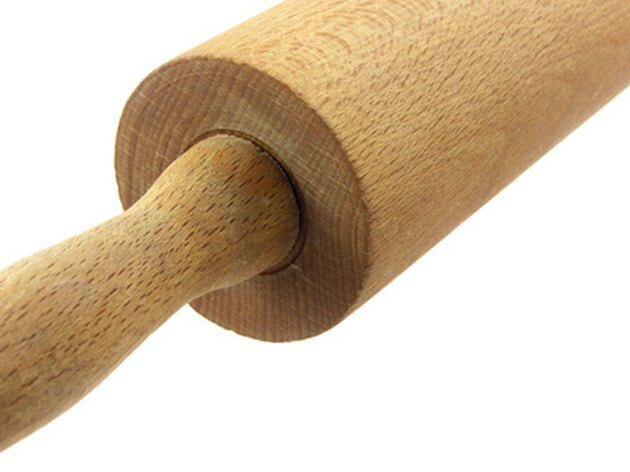 Roll a rolling pin over the towel. The water will be pushed out of the clothes and absorbed by the towel. 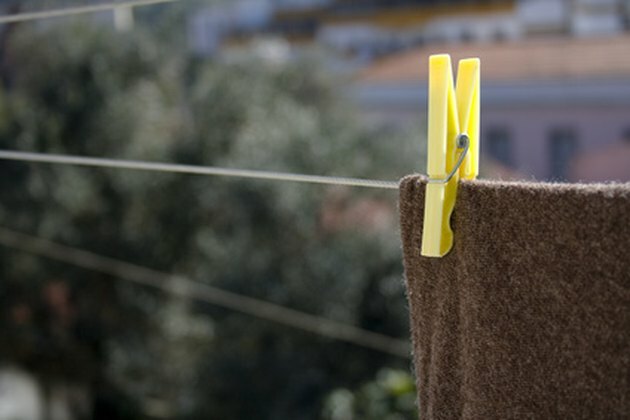 Clothes can also be placed on a clothesline to dry. Open the towel and remove the pieces of clothing. Hang the clothes on a drying rack until they have dried completely. Kelly Gray has been writing for a daily community newspaper in the Midwest since 2000 and her work has appeared in "The Examiner" newspaper. A resident of Independence, Mo., Gray majored in journalism at Kansas State University and received a Bachelor of Arts.